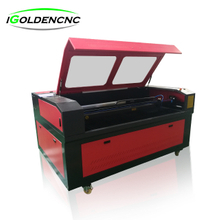 Laser engraving machine, as the name implies, is not only the use of lasers to carve materials to carve an advanced equipment. Laser engraving machine is different from mechanical engraving machine and other traditional hand carving methods, mechanical engraving machine is the use of mechanical means, such as diamond and other highly hardness materials to carve other things. 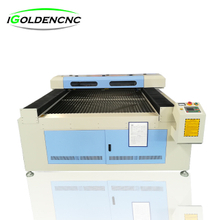 Laser engraving machine is the use of laser thermal energy to carve the material, laser engraving machine inside the laser is its core. In general, laser engraving machine is more widely used, and the engraving accuracy is higher, engraving speed is also faster. And compared to the traditional manual carving method, laser engraving can also be carved effect to be very delicate, no less than the level of manual carving process. It is precisely because the laser engraving machine has so many advantages, so now the application of laser engraving machine has gradually replaced the traditional carving equipment and methods. Become the main engraving equipment.